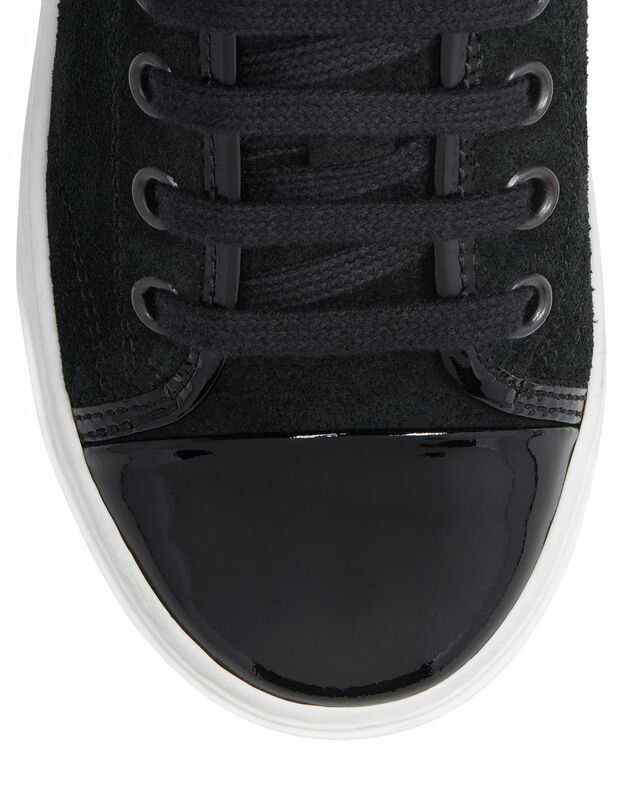 Black low-top sneakers in calfskin, over-seam, black patent calfskin cap toe, tone-on-tone cotton laces, metal eyelets, calfskin lining and white rubber soles. 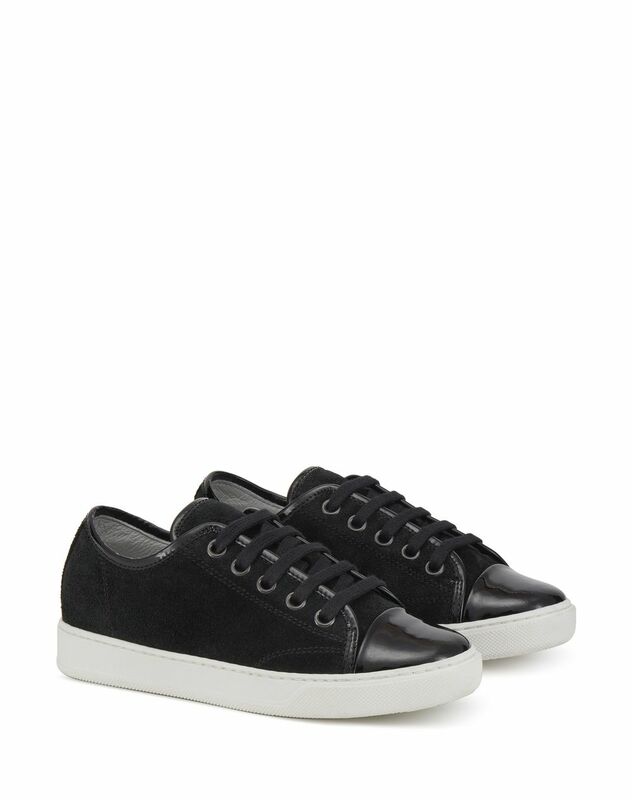 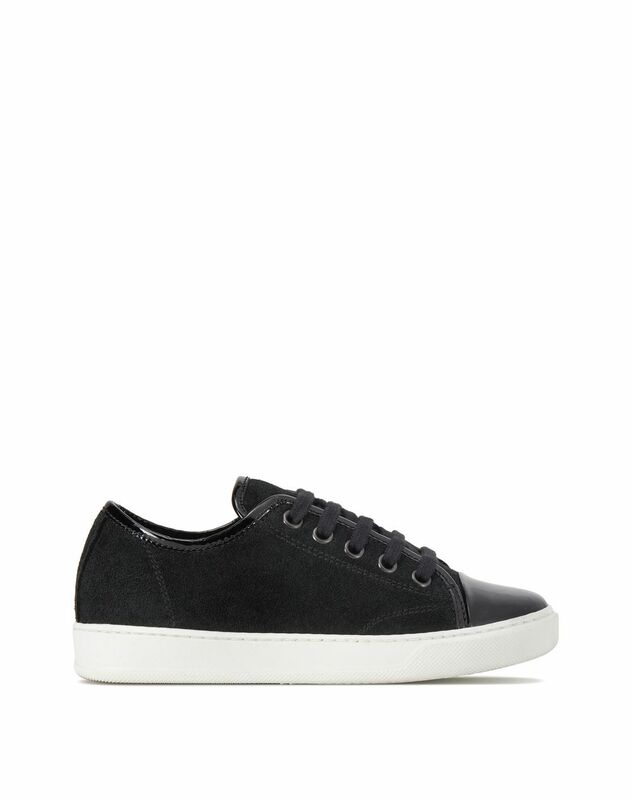 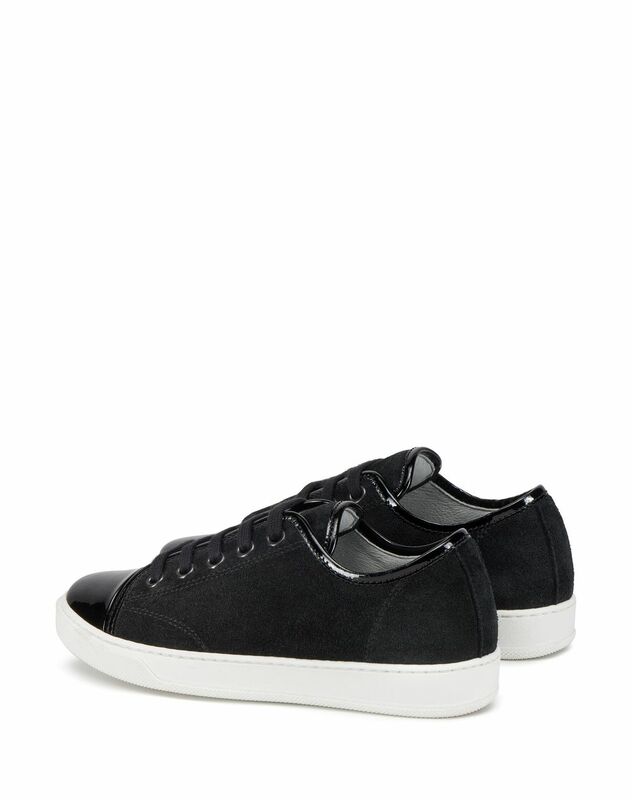 Inspired by the iconic Lanvin men’s DDB1 sneakers, this shoe combines a sporty style with luxury details. 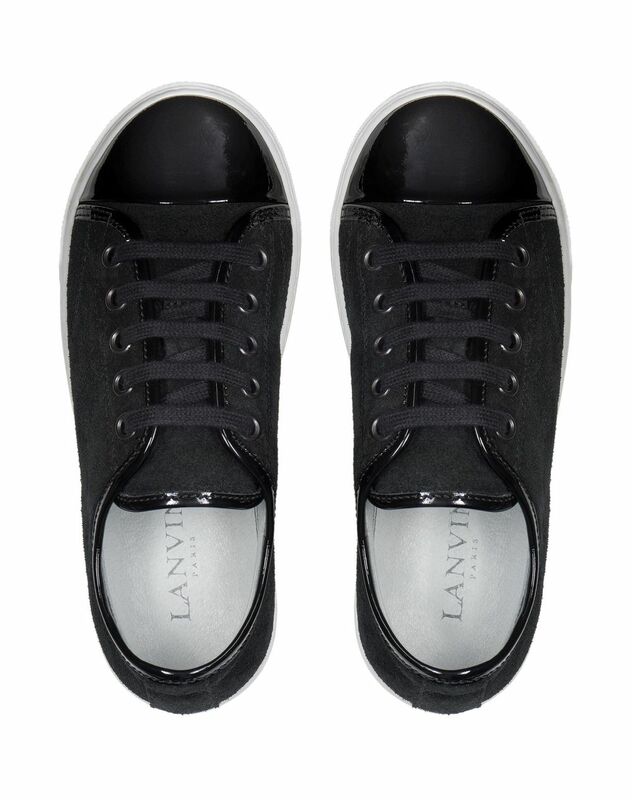 Comfortable and elegant, they are ideal for every day.